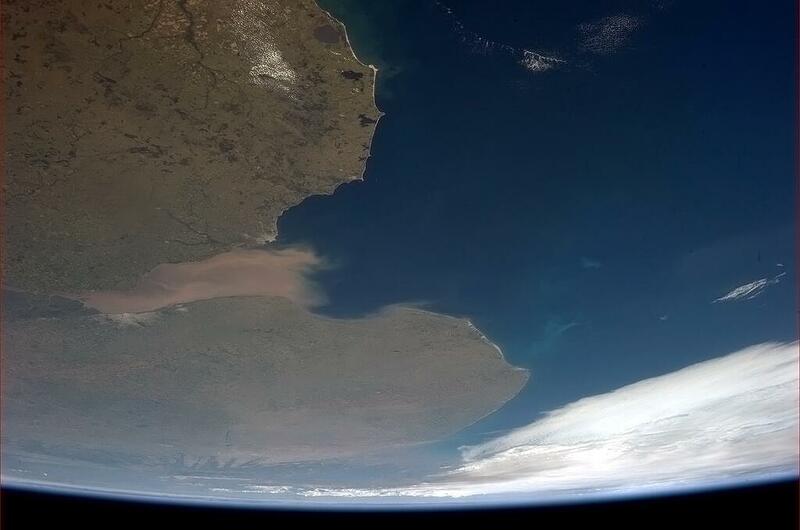 A fantastic photo taken from the International Space Station of the muddy River Plate emptying into the Atlantic. Both Buenos Aires and Montevideo can clearly be seen. To get an idea of scale the river at Buenos Aires is 35 miles across.